Artists and cultural workers who develop or are interested in developing large and small projects will benefit from this course by gaining knowledge of project management terminology, processes, tools and techniques. You will improve your ability to manage everything, from grant applications to organizing a conference and more. 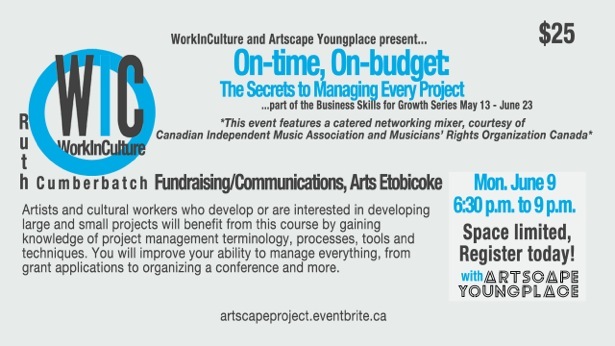 This workshop is being held in partnership with Artscape Launchpad and WorkInCulture, with support from the Ontario Trillium Foundation.